A pause for some shameless self-promotion. 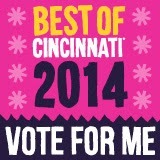 The Naked Vine has been nominated for "Best Blog" in CityBeat's 18th Annual "Best of Cincinnati" competition. Follow that link and vote in as many categories as you wish. My competition is the first category under the "Public Eye" section. Voting closes this Sunday, February 16th Vote early and often! It’s cold and dreary. The sun barely peeks out – and when it does, it’s not much of a help warming things up. These are richer food days, my friends. For me, richer food calls for wine with a backbone of earth – and that leads me instinctively to one place – France. 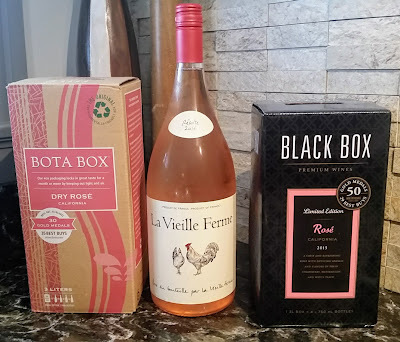 My French wine palate perks up in the winter, because these wines go so nicely with foods that have some heft to them. Butter, mushrooms, rich meats and root veggies – French wine is a lovely accompaniment to those sorts of flavors, generally. 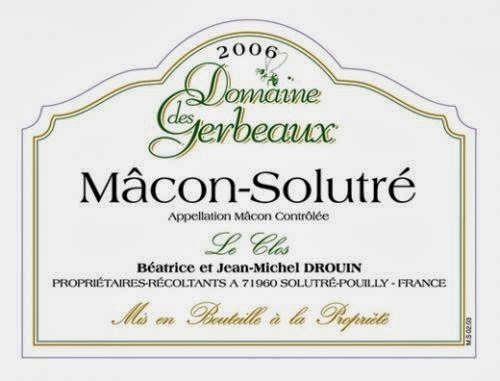 Domaine des Gerbeaux 2012 “Le Clos” Macon-Solutre – Macon-Solutre is an area in Southern Burgundy. You may have seen “Macon-Villages” – which is a Chardonnay made from particular areas within the Macon region. Solutre is one of those areas. The specific name of a village on a wine usually connotes a higher quality of juice, and this was no exception. This wine reminded me of lemon custard – rich and citrusy on the nose and body, but the finish leans out into a grapefruity, minerally denoument that becomes more pronounced as it gets some air. There’s a hint of smokiness, as well – even though this is an unoaked wine. I liked this quite a bit. You should find it for around $17-20. 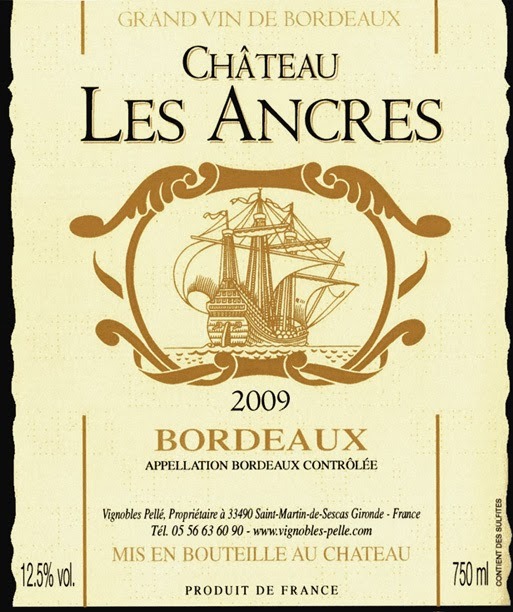 Chateau Les Ancres 2010 Bordeaux – Bordeaux, especially most value-priced Bordeaux, tends to be made with a backbone of merlot. This one is no exception – it’s about 2/3 Merlot, with the rest mostly Cabernet Sauvignon. There’s 2% Cabernet Franc to round it out. This wine really needs decanting – since at first sip, there’s very little flavor. Have patience with this one. It started with a light flavor of blackberry and cocoa, widened out across the midpalate with some nice smoke and earth, and then landed with a tannic bag of hammers on the back of my tongue. Once it opens up, there’s a surprising richness to it. With stews, superb, especially for $11-13. And it goes better with chocolate than many Bordeaux. 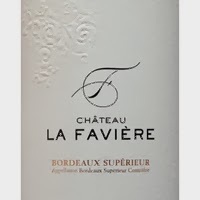 Chateau La Faviere 2009 Bordeaux Superieur – “Bordeaux Superieur” is a wine sourced from grapes grown anywhere in Bordeaux, but the process of the winemaking is a little different. The reds with that moniker have somewhat higher alcohol contents, are aged a little longer, and tend to be a littlemore complex than standard Bordeaux. This wine, however, I didn’t get a chance to write many notes on. The SPinC and I opened this before a dinner of roasted chicken in a tarragon and butter sauce, and it was a splendid accompaniment. So splendid, in fact, that we got to talking and laughing – and the next thing we knew, we’d killed off the prettily embossed bottle. Take that for what it’s worth. I’d snag this again for around $15. 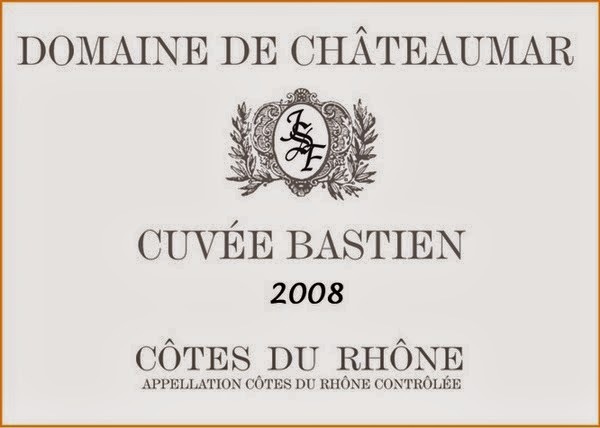 Domaine de Chateaumar 2012 “Cuvee Bastien” Cotes-du-Rhone – I’ll admit to looking a little askance at the name of this wine. Cotes-du-Rhone are generally blends, known as cuvees – usually made up largely of varying amounts of Syrah and Grenache. This wine, however, is 100% Grenache – so I assume it’s Grenache from a number of different vineyards. I enjoyed the difference. This is a somewhat lighter-styled Cotes-du-Rhone which I can imagine flexibly working with almost any food pairing. Nice plum and berry flavors with enough weight and structure to be interesting. We had this alongside a pecan-crusted trout with sautéed cabbage with a cream sauce, and it worked quite nicely. Again, recommended at $13-15.